"Life cannot be prolonged by heart transplant. You cannot increase the duration of life. One can perhaps give some relief to disease, that is another thing, but the duration of life is destined. From the dead body, one cannot bring life. Similarly, it may appear that one is prolonging the duration of life by medicines or heart transplant, but that is not the case. If one lives 4 years after having had a heart transplant, then by nature's law he was destined to live four years with or without having had a heart transplant. So what is the value of heart transplant? Only by the yogic process can one prolong the life. By stopping the breathing process, keeping in samadhi, the breath period is not being misused, and he increases the life span. Therefore, destiny can only be changed by devotional service or yoga. Otherwise, what you must suffer, you must suffer, and what you must enjoy, you must enjoy. For a devotee however, whatever it may be, he takes the opportunity to chant Hare Krishna, and if by Krishna's Grace destiny is changed, then it is alright. Nature's law will work. 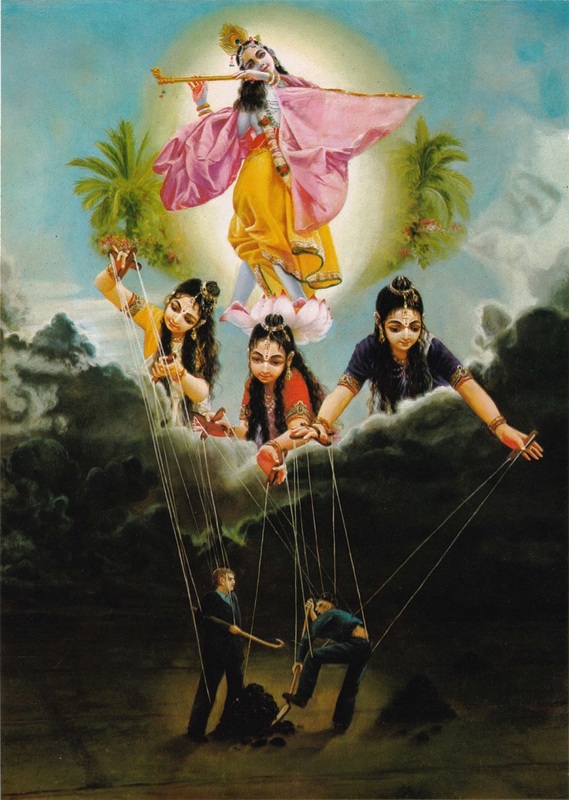 We cannot change that, but Krishna, the Supreme Controller, He can change it; just like if a man is sentenced to be hanged, no one, not even the judge can pardon him, except the king or president. He only can excuse the offender. Similarly, I have to execute Krishna's order, and suppose I have to suffer to execute this order. Therefore, devotional service and the devotee is so dear to Krishna. The devotee is prepared to die at any moment, but he simply wants to be engaged in Krishna's service."